Our business continues to grow and we now support and represent a community of 10,000 women working in senior positions in financial services in London and are working with leading Investment Banks & Asset Managers (all of whom are implementing best practice in D&I) to help them recruit, retain and develop more of them. Last year we made a significant difference to the lives and careers of over 400 of our members. This year we want to do more. 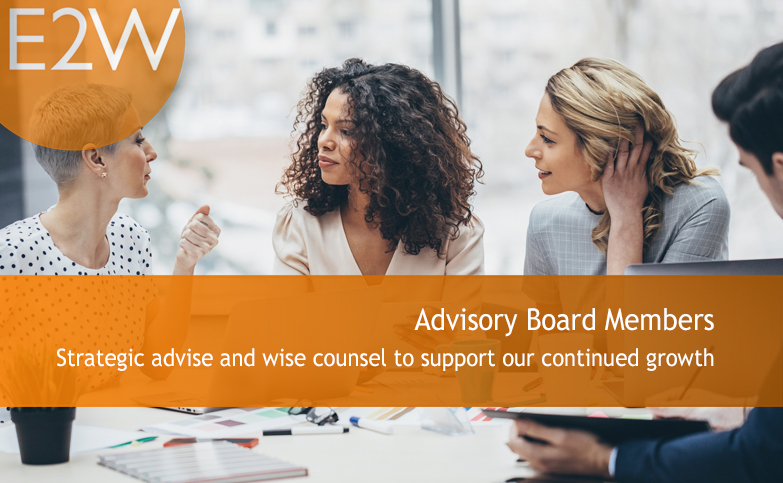 As part of our growth we are appointing an advisory board to provide non-binding strategic advice to the management of our three business lines – Membership, Recruitment/D&I Consulting and Outsourcing. Provide the directors of E2W with insight into industry trends and initiatives that effect women in financial services. Act as a resource for the directors. The board will formally meet once per quarter to discuss the above and to celebrate our shared successes. These are voluntary but highly rewarding positions.